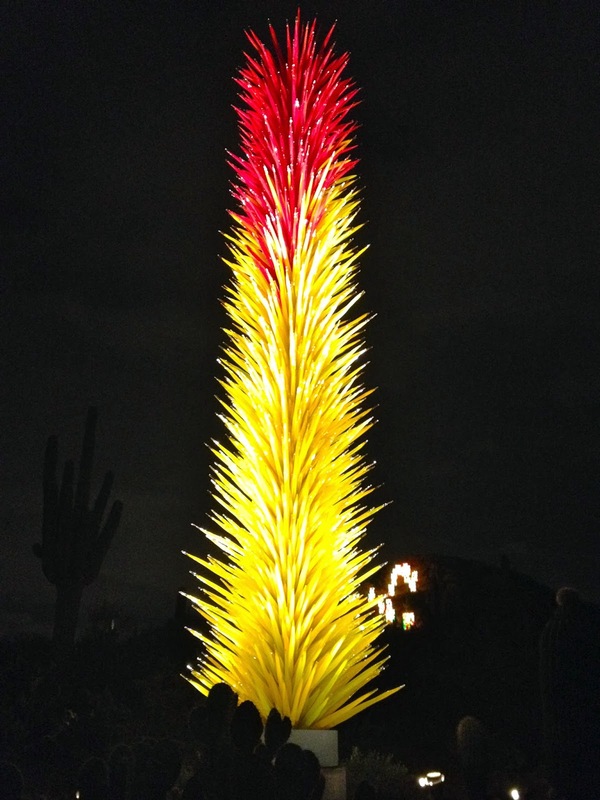 Hubby and I spent a date night at the Desert Botanical Garden to see Las Noches de las Luminarias during the Chihuly in the Garden exhibit. 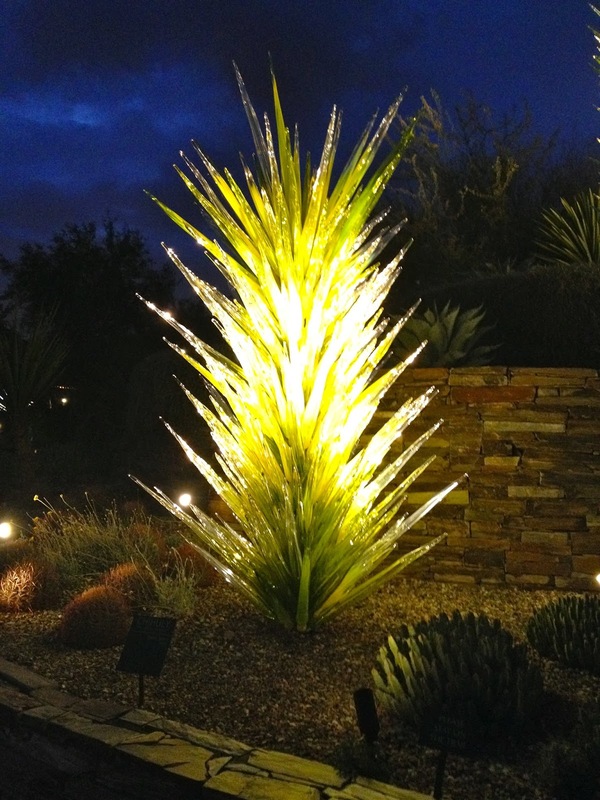 American glass sculptor Dale Chilhuly has paired with the Desert Botanical Garden for a second time to display his unique works of blown glass art. 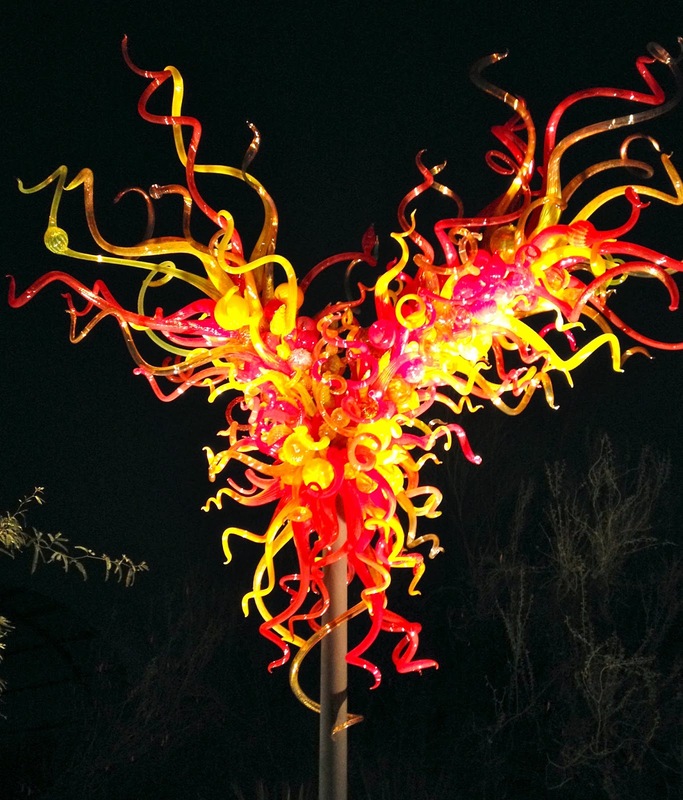 The Chihuly exhibit runs through May 18, 2014, and features 21 stunning sculptures specially selected and placed throughout the Garden. 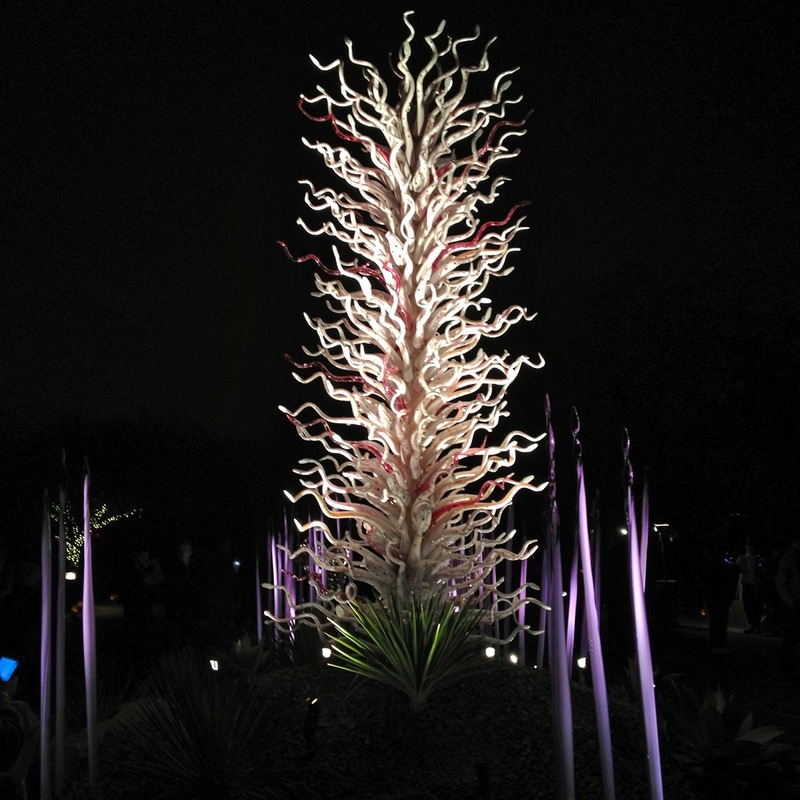 These “Desert Towers” sculptures at the entrance of the garden resemble the surrounding yuccas. 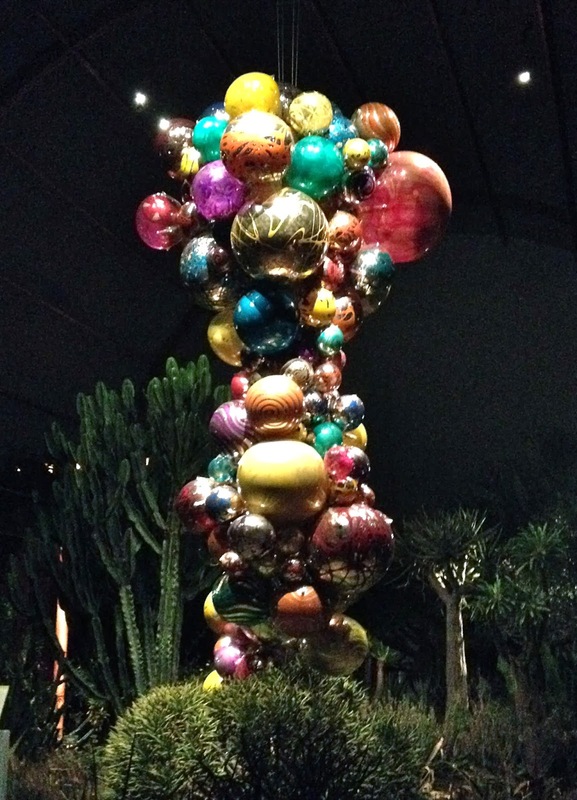 They are permanent sculptures from the first Chihuly in the Garden exhibit five years ago. 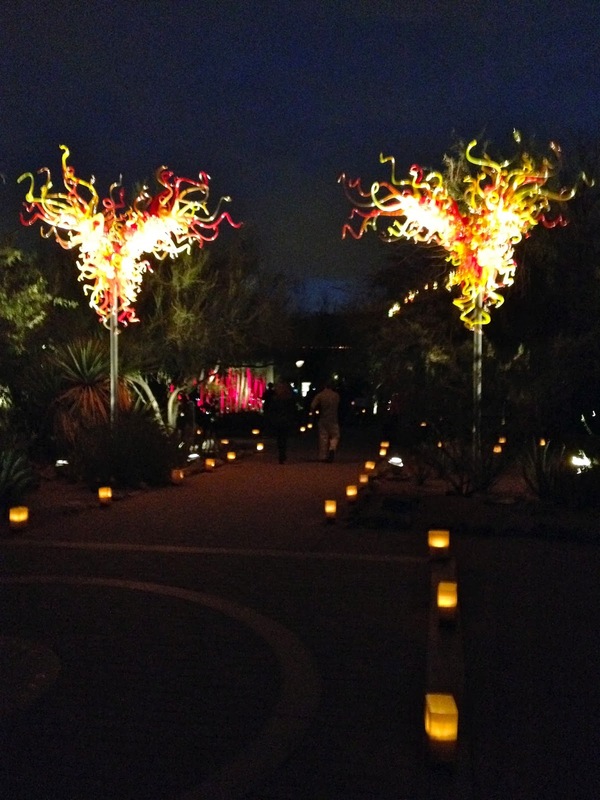 For 31 nights during the holiday season, the Garden presents Las Noches de las Luminarias. 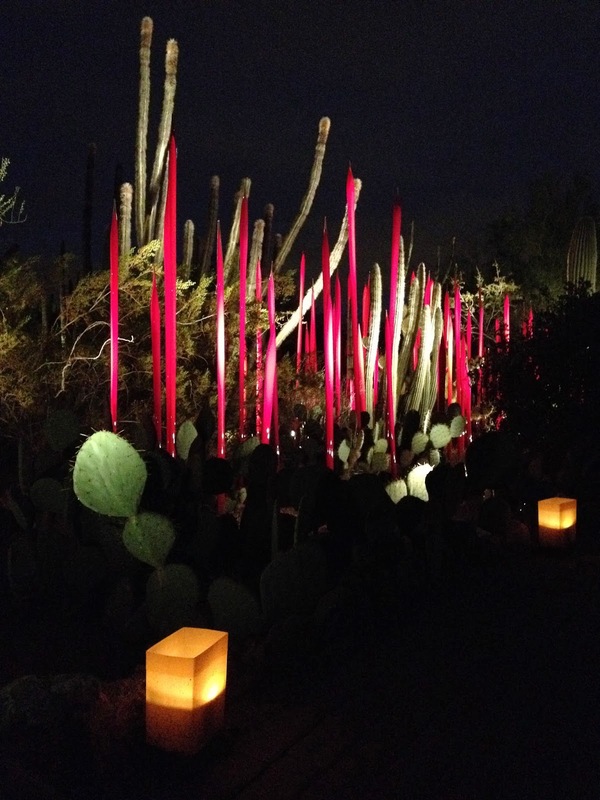 During each night of the Luminaria, approximately 8,000 bags filled with candles line the pathways of the Garden, guiding the visitors from one lit saguaro to another. 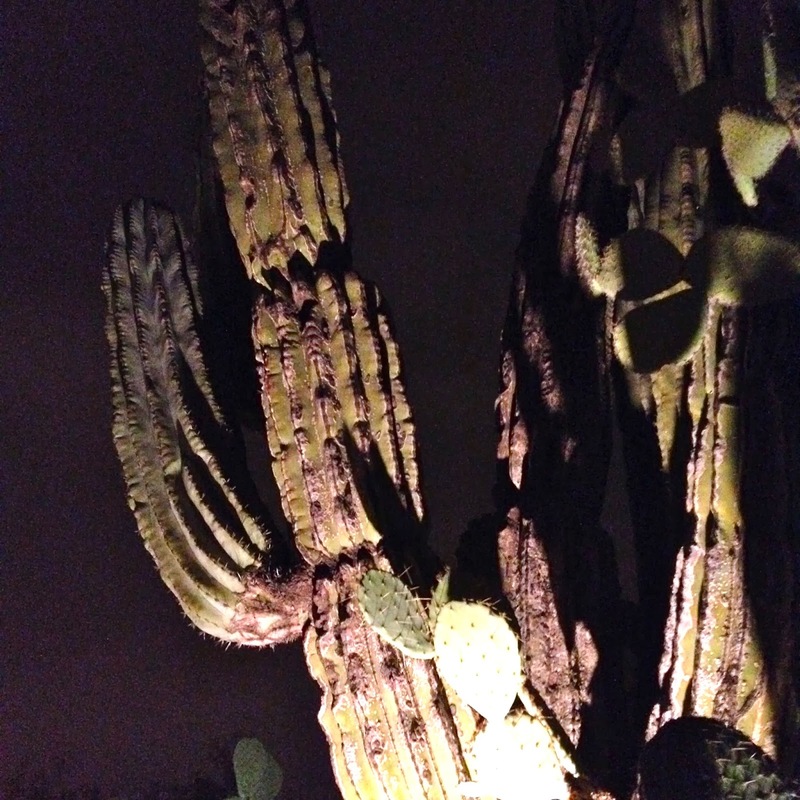 Along the pathways, you can encounter groups of carolers, hand bell ringers, Apache story tellers, and mariachi bands. Grab a cup of hot cider (how I would have loved a cup of glühwien!) and jump right on in. 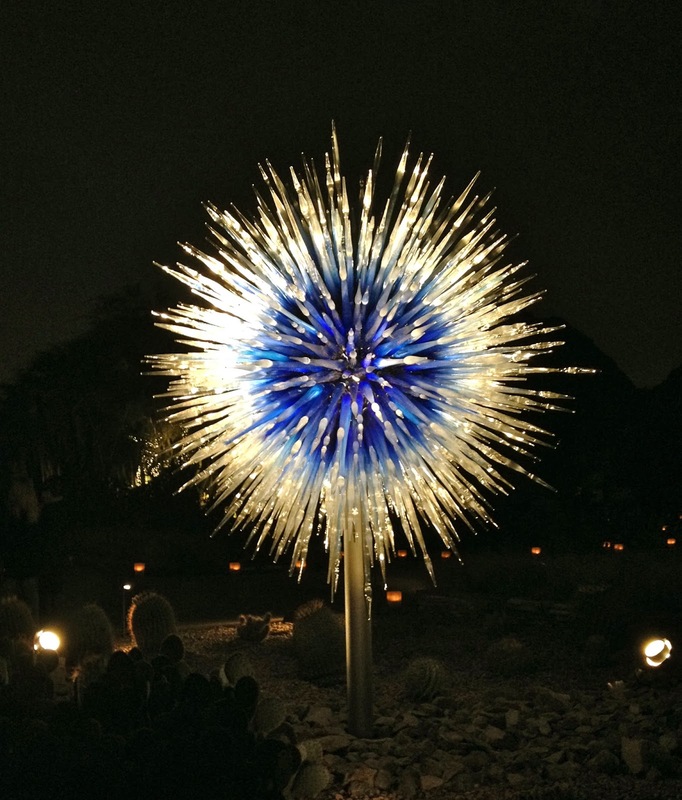 The last night for the Luminaria is December 31st. 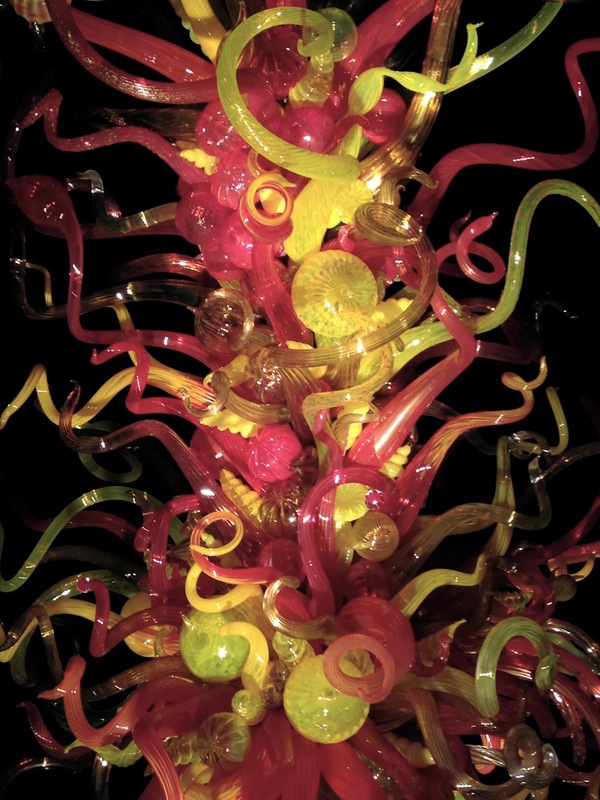 Could you even imagine what the installation of this exhibit was like? All photos by Marci Symington for texaztaste.blogspot.com. 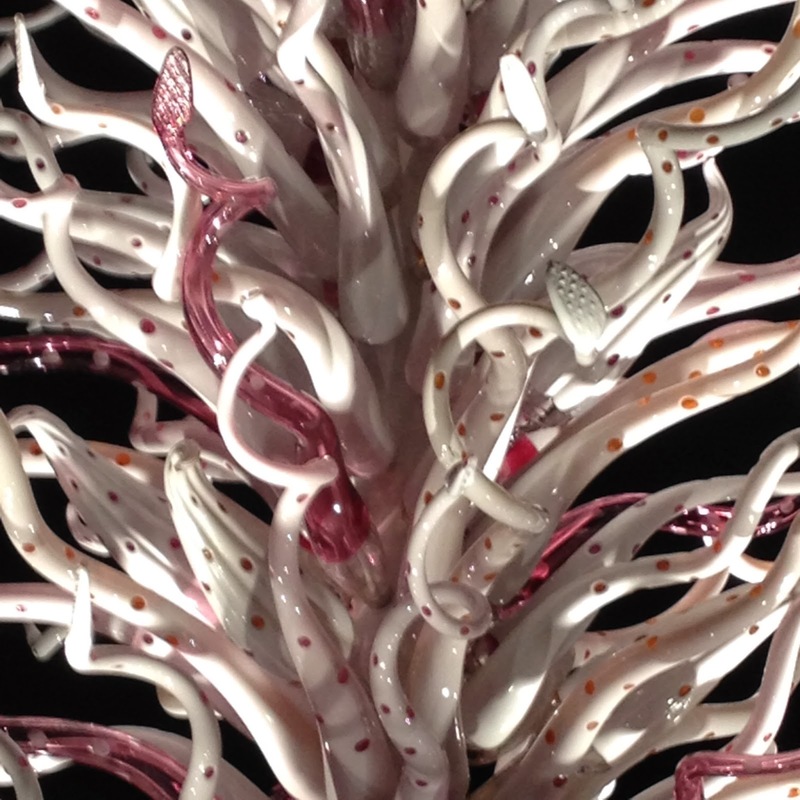 ©2015 Marci Symington. All rights reserved.